A new study shows cellular-level changes in nerve structure and function that may contribute to the development of migraine headaches, reports the November issue of Plastic and Reconstructive Surgery®, the official medical journal of the American Society of Plastic Surgeons (ASPS). Nerve specimens from patients with migraine show abnormalities of the myelin sheath that serves as “insulation” around the nerve fibers,” according to the study by ASPS Member Surgeon Bahman Guyuron, MD, of Case Western Reserve University, Cleveland. The findings help to explain why a plastic surgery procedure provides effective pain relief for migraine patients—and may provide useful clues for developing new approaches to migraine treatment. The researchers performed in-depth studies on tiny specimens of the trigeminal nerve (one of the cranial nerves), from 15 patients who underwent surgical treatment for migraine. Sample from 15 patients undergoing a cosmetic forehead lift procedure were studied for comparison. The study—conducted through collaboration by three independent departments at Case Western Reserve School of Medicine—included electron microscopy to assess nerve cell structure and proteomic analysis to assess the presence and function of proteins. The results showed important differences in nerve structure between the migraine and cosmetic surgery patients. “Essentially, the protective layer surrounding and insulating the normal nerves, called myelin, is missing or is defective on the nerves of the patients with migraine headaches,” said Dr. Guyuron. He likens the myelin sheath to the plastic coating used as insulation material around electrical wires and cables. Organization of the cellular elements in nerve fibers also differed between groups. Healthy nerves were tightly organized with elements uniformly distributed through the nerve, while nerves from migraine patients showed discontinuous, “patchy” distribution. Dr Guyuron developed migraine surgery techniques after noticing that some migraine patients had reduced headache activity after cosmetic forehead-lifting, which involved removal of some muscle and vessel tissue surrounding the cranial nerves. The new study lends some important new clues for understanding the mechanisms by which migraine headaches occur. It also adds new evidence that the peripheral nerves play an important role in triggering the complex cascade of migraine attacks that ultimately involve the central nervous system. The new findings on nerve cell abnormalities associated with migraine are discussed in this month’s introductory video by Rod J. Rohrich, MD, Editor-in-Chief, on the Plastic and Reconstructive Surgery website. “This type of cutting edge research…is just one way plastic surgeons are constantly trying to improve patients’ outcomes,” Dr. Rohrich concludes. Do you know these facts? Everyone should know them whether they suffer from migraines or not. Migraine may be aggravated or triggered by specific factors. In a study of 1207 migraine patients, about 3 out of 4 said they have triggers for their migraine attacks.4 When given a specific list of triggers to consider, almost 95% of the people said that their attacks were brought on by certain circumstances or environmental influences. Manack A, Turkel C, Silberstein S. The evolution of chronic migraine: classification and nomenclature. Headache. 2009;49(8):1206-1213. In a survey at Migraine.com, on FaceBook, 300 migraneurs responded with what type of strange early signs they sometimes got before a migraine. Yawning was one of the first listed. See the rest here and take the survey yourself. Did You Know There Are At Least 20 Different Types of Headaches/Migraines? Deep vein thrombosis and pulmonary embolism: blood clots in the veins of the leg, which can come lose and move to the heart and lungs. At the American Headache Society’s annual scientific meeting in June 2014, a research poster was exhibited that significantly added to the body of evidence linking Migraine and cardiovascular diseases and events. For several years, we’ve seen studies on the associations between migraine and cardiovascular and cerebrovascular disease and events such as stroke and myocardial infarction (heart attack). This is the first study to look at either association or causality of migraine in relation to deaths from all causes. Data from this type of study, which contained such a large number of participants and collected data over such a long time period is very strong. The conclusion that 13% of all deaths of women in this study were due to migraine is startling and should be a wake-up call to women with migraine. Panic or feeing defeated by this statistic is neither warranted nor helpful. Rather, this wake-up call should motivate women with migraine to have constructive conversations with our doctors regarding what we can do to reduce modifiable risk factors and other actions we can take to be healthier and stronger. This is just one of the many reasons to choose Dr. Hochman for your migraine surgery. If most of your headaches start in the back of the head and upper neck, here the greater occipital nerve is pinched by a muscle and by the greater occipital artery and vein. Surgery involves releasing the nerve from the compressing structures including the muscle and vessels. The surgery is done through an incision within the hairline just below the bump on the the skull which you can feel in the midline. Dr. Hochman is one of the few doctors in the country to perform surgery to the area with the patient in a sitting position which is far safer than turning a patient under general anesthesia. This is just one more reason to choose Dr. Hochman for migraine surgery. Migraine and Stroke – What’s the Link? Excerpts from Migraine and Stroke – What’s the Link? On the surface, strokes and migraines do not seem to have much in common except that both of them can have serious psychological effects on the sufferers. But researchers say that a complex relationship exists between the two.Migraine is a neurological disorder characterized by the occurrence of throbbing and recurring headaches that can be so severe to interfere with the normal day to day life. Stroke is a medical emergency caused by a compromised blood supply to the brain. It could result in brain damage, eventually leading to complications and disability.Several studies have associated migraine in young adults, especially women, with ischemic stroke. A recent study relates migraine without aura in older people with subclinical stroke. Generally, migraine with aura is associated with an increased risk of ischemic stroke, especially in young women. …when compared to women without migraine aura but the absolute risk (the overall likelihood of developing ischemic stroke) is actually small. 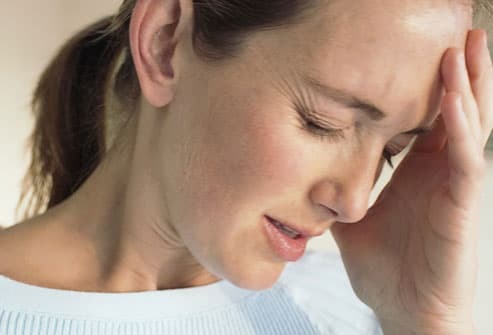 Researchers from the Northern Manhattan Study (NOMAS) reported that migraine sufferers had twice the risk of developing silent stroke when compared to people who did not report migraine episodes. This finding related more to the people who experienced migraine without aura. Silent stroke does cause permanent damage to the brain, but the damage is small, subtle and goes unnoticed. The reason for this is that silent stroke does not affect the main functional areas of the brain that lead to apparent symptoms when damaged. However, silent strokes can lead to cognitive disturbances and accumulation of such subtle damages can lead to gradual neurological deficits. The researchers have emphasized the need for reducing the risk factors of stroke in such people. Similar concerns were also expressed in previous studies. Attention is especially needed to patients who have co-existing vascular risk factors like elevated blood pressure, elevated cholesterol level, diabetes, coronary heart disease, etc. • Migraine costs the United States more than $20 billion each year. Costs are attributed to direct medical expenses (e.g. doctor visits, medications) and indirect expenses (e.g. missed work, lost productivity). • Migraine is disabling. The World Health Organization places migraine as one of the 20 most disabling medical illnesses on the planet. • Chronic migraine is even more disabling. • Those with migraine are more likely to have depression, anxiety, sleep disorders, other pain conditions, and fatigue. • People who have a history of experiencing an aura phase have been shown to be at an increased risk for stroke and heart attack. • There is no cure for migraine. Treatments are aimed at reducing headache frequency and stopping individual headaches when they occur. • Prophylactic treatments (to reduce headache frequency) may include avoidance of migraine triggers, medications, physical therapies and behavioral therapies. • Abortive treatments (taken when a patient has a headache) include over-the-counter pain relievers and prescription medications. • Although prophylactic and abortive treatments help many people with migraine, they are far from perfect. Undoubtedly, better treatments are needed. • Prophylactic medications reduce headache frequency by 1/2 in only about 40% of patients who take these medications. • Medication side effects often limit the use of migraine medications. Until recently there was little to offer for chronic migraines and other facial pains other than medications in the form of pills and injections. Nearly two-thirds of patients discontinue prescription medications due to inadequate relief and side effects. But now there are procedures available in a treatment plan at Surgery4Migraines which provide temporary relief from migraines in the majority of patients as well as a surgery option for more permanent relief. 1. Botox® injections can temporarily relieve migraines for up to three months in some cases by “freezing” the muscles which encapsulate the nerves causing the pain. 2. SPHENOBLOCK® is a minimally invasive procedure designed to temporarily block a collection of nerves (the sphenopalatine ganglion – SPG), effectively delivering pain relief. The SPG lies in a bony cavity which is deep in the midface nasal cavity and is related to a variety of facial pain conditions, such as migraines, cluster headaches and atypical facial pain. It provides effective care for a difficult group of patients. Because the SPG represents a “crossroad” of neurons involved in pain processing, clinicians using SPG blocks have reported its effectiveness in a variety of central pain syndromes, from complex regional pain syndrome to fibromyalgia. Sometimes during a SphenoBlock®, Dr. Hochman injects the pain-relieving medicine into the region where the ganglion lies with the use of the SphenoCath®. The SphenoCath® is a small soft tube designed to be the medication delivery device for SpenoBlock® , transforming it into a quick, simple procedure. This may reduce the release of the chemical norepinepherine activating the pain sensitive nerves and reduce the pain with long-lasting effects. •Patient will not feel numbness in the face. •Takes about 30 minutes in the office. Most insurance companies, as well as Medicare, cover the procedure. We will work with you if it is not covered. SPHENOBLOCK® can often give immediate relief to an ongoing pain episode and/or help to give longer term relief by “resetting” this group of nerves (SPG). If you’re currently taking medicine for migraines or other chronic facial pain, this simple procedure may over time replace the need for narcotics or other pain medications. It fits into the overall treatment plan with regard to medications, Botox injections and surgery for migraines. 3. The third Option is Surgery on the affected trigger points. It’s not just a debilitating headache that affects you, migraines have an economic impact on our country. Look at these incredible facts. This video from the Huffington Post covers “Migraines 101”. A layman’s explanation of what’s happening to your body when you have a migraine. This surgery works!! Imagine your future being migraine free! Dr. Hochman has had amazing success with his migraine patients. ‘Why would you trust yourself to anyone else’? Surgery for temporal migraine headache provides excellent headache relief, according to a review study in the April issue of Plastic and Reconstructive Surgery®. Botox for Migraines AND Depression? It may be time to add depression to the growing list of conditions that Botox (onabotulinumtoxinA) can help treat. Two recent studies suggest that the neurotoxin may help alleviate symptoms of depression, and that this benefit may be more than skin deep. In one study published in the Journal of Psychiatric Research, more than half of participants with moderate to severe depression showed a substantial improvement (greater than or equal to 50% of baseline) in depressive symptoms following one injection of Botox between the brows. Depressive symptoms (as assessed by the Montgomery-Åsberg Depression Rating Scale scale) in the Botox treatment group decreased 47% after 6 weeks, compared to 21% in the placebo group. Moreover, 27% of individuals treated with Botox achieved remission, compared with 7% in the placebo group. “This research is groundbreaking because it offers those who suffer from depression and their doctors an entirely new approach to treating the condition — one that doesn’t conflict with any other treatments,” says Norman E. Rosenthal, MD, clinical professor of psychiatry at Georgetown Medical School, in a news release. The study showed that Botox may help relieve depressive symptoms both as a stand-alone and an adjunctive treatment. A related study presented at the annual meeting of the American Academy of Dermatology in Denver showed that botulinum treatments injected between the eyebrows had an anti-depressive effect that lasted longer than the wrinkle-relaxing results, suggesting that there may be a biological basis for the effect. SphenoBlock is a minimally invasive procedure designed to temporarily block a collection of nerves (the sphenopalatine ganglion – SPG), effectively delivering pain relief. The SPG lies in a bony cavity which is deep in the midface nasal cavity and is related to a variety of facial pain conditions, such as migraines, cluster headaches and atypical facial pain. During a SphenoBlock, pain-relieving medicine is injected to the region where the ganglion lies, sometimes with the use of a fine needle (the SphenoCath). This may reduce the release of the chemical norepinepherine activating the pain sensitive nerves and reduce the pain with long-lasting effects. Patient will not feel numbness in the face. Takes about 30 minutes in the office. Most insurance companies, as well as Medicare, cover the procedure. SphenoBlock can often give immediate relief to an ongoing pain episode and/or help to give longer term relief by “resetting” this group of nerves (SPG). If you’re currently taking medicine for migraines or other chronic facial pain, this simple procedure may over time replace the need for narcotics or other pain medications. It fits into the overall treatment plan with regards to medications, Botox injections and surgery for migraines.